© Elizabeth Pogue. All rights reserved. 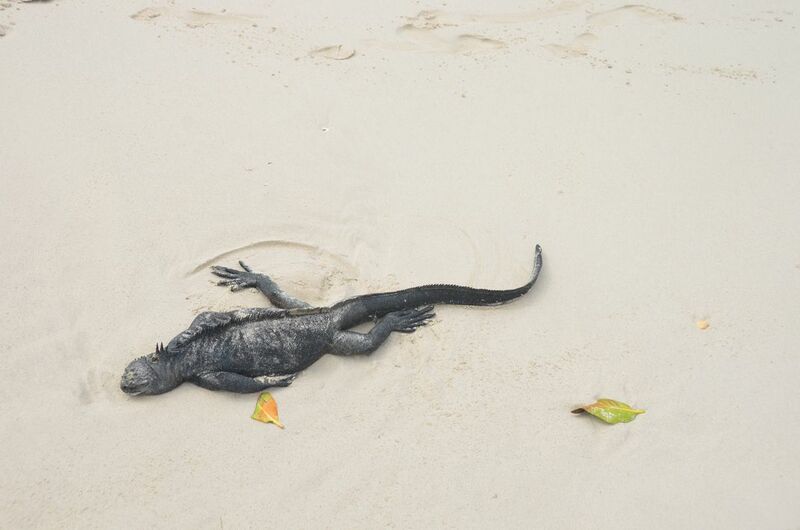 A tired marine iguana collapses on the sand after an exhausting dive for seaweed in the Galapagos. 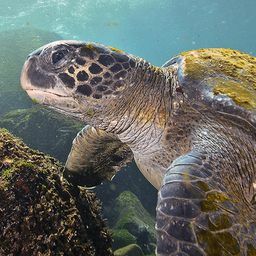 Marine iguanas are everywhere in the Galapagos Islands, but this photo shows how drained they are after staying in cold water for 30 minutes or more hunting for food, plus swimming back to shore. Date Uploaded: July 7, 2015, 8:33 p.m.